The International Council for Standardization in Haematology (ICSH) has extended the deadline for applications for the 2019 Carol Briggs-Smalley Scholarship fund to May 1, 2019. 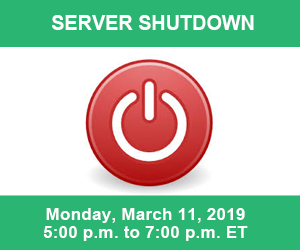 QView.ca and IQMH.org websites will be unavailable on Monday, March 11 from 5:00 p.m. to 7:00 p.m. ET due to server maintenance. Laboratory Professionals: Are you looking for a new employment opportunity? Visit our Job Posting page for current industry opportunities.